When he's not playing in a band, you can catch Julio Cuomo doing his solo-acoustic act. Several years back, he had a standing Friday night gig at the Potbelly in Norridge. In addition, he also performed semi-regularly at some of the Borders stores. And let's not forget the many club & coffee house shows over the years along with some recent performances for the Franklin Park Park District & Veteran's Park District. 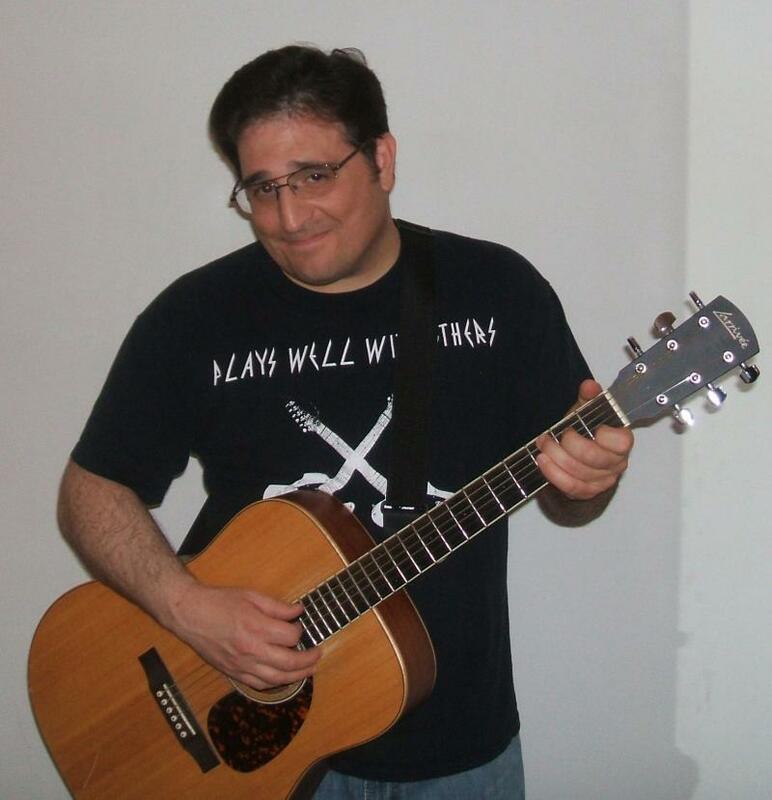 Julio performs a mix of pop-rock covers from the 1950s-2000s. In addition, he'll also throw in a few Bues tunes and one or two Country songs. Here is a partial list of songs you might hear. Copyright 2012 CuomoMusic. All rights reserved.